Google Keyword Planner Tool is a tool that gives you a traffic estimation of our target Keywords and also help in finding more relevant and related Keywords for your niche. It is a free Adwords tool for anyone who wants to search a perfect keyword for a post or blog. It is very important for every bloger to analyze the words or keywords which drives the traffic. Without SEO optimized keywords there is no use of contents even if it is of good quality. Searching keywords for content is called as Search Engine Optimization. 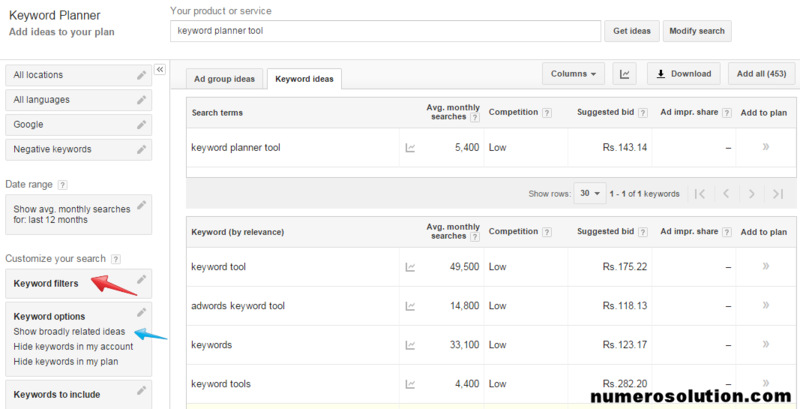 Google Keyword Planner help you choose competitive keywords. Its very easy to use and free tool for SEO. Here step by step solution is given for Easy to Use SEO Google Keyword Planner. Free to Use: Its free of Cost and doesn’t cost you anything. 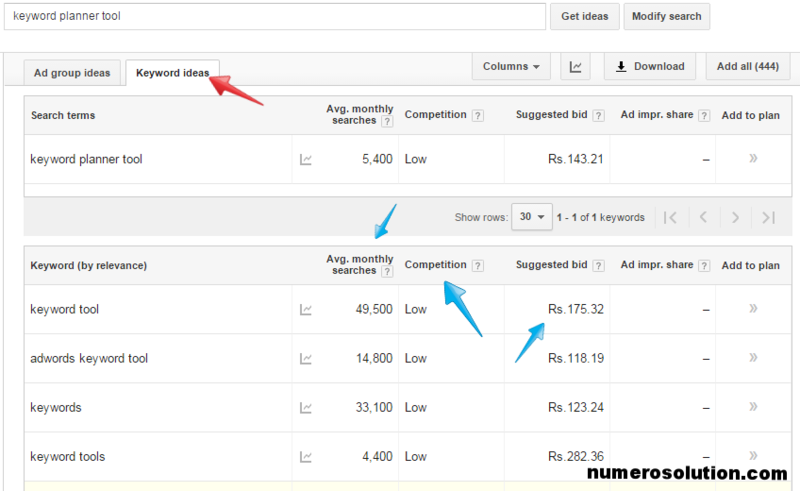 Research keywords: You can search for keyword and ad groups ideas. You can also search Based on words that are relevant to your product or service, your landing page, or different product categories. Historical statistics and traffic forecasts: Statistics are also given which help you decide which keywords to use. Get forecasts, like predicted clicks and estimated conversions, to get an idea of how a list of keywords might perform. It’s important to keep in mind that Google Keyword Planner can provide great keyword ideas and traffic forecasts. If you already have a Google account (such as Gmail), enter your Google email address and password, then click Sign in. If you don’t have an existing Google account. Then Create an New Google account from the link. Visit https://adwords.google.com and click the button ‘Sign In to Adwords’ to get started. You have to enter the google account login and password to login. Now you are on the page from where you can search any keyword. Start your Keyword research by entering the words in the column. Click Search for new keyword as given below and enter word, website or category. Words or phrases that describe what you’re advertising. The URL of a page on your website or your entire website. Review your keywords from the Ad group ideas tab. In this tab a group of ideas is given together. 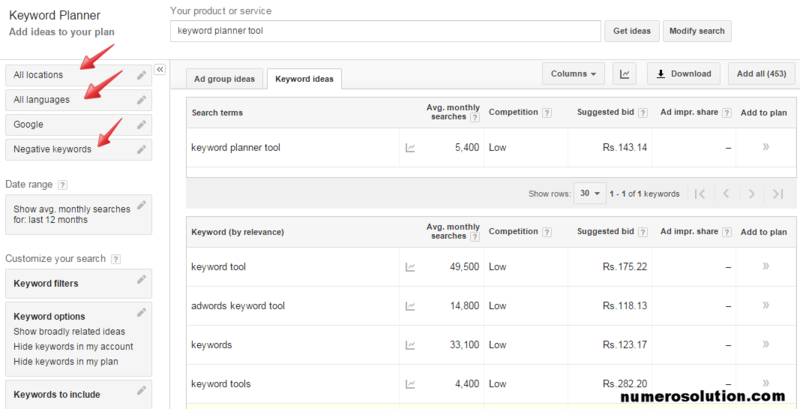 Ex- If you search for keyword research it will show many other terms related with that in a group. The figure given here will depict the information in detail. Average monthly Searches: This will show you monthly keyword searches of your keyword. Competition: This will show the competition of your searched keyword in the market such as low, medium or high. Suggested Bid: This will show the bid from the advertisers for that keywords in a website. Audience are of various types we may categorize them according to language, countries etc. So fort targeting your audience according to your compatibility such as by location, languages, negative keywords. 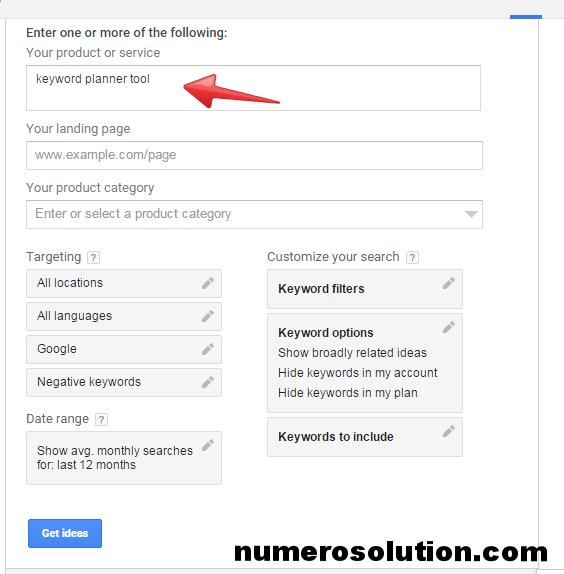 Google Keyword Planner Tool is a perfect tool for all of this problems. Broad: Show broadly related keyword ideas. 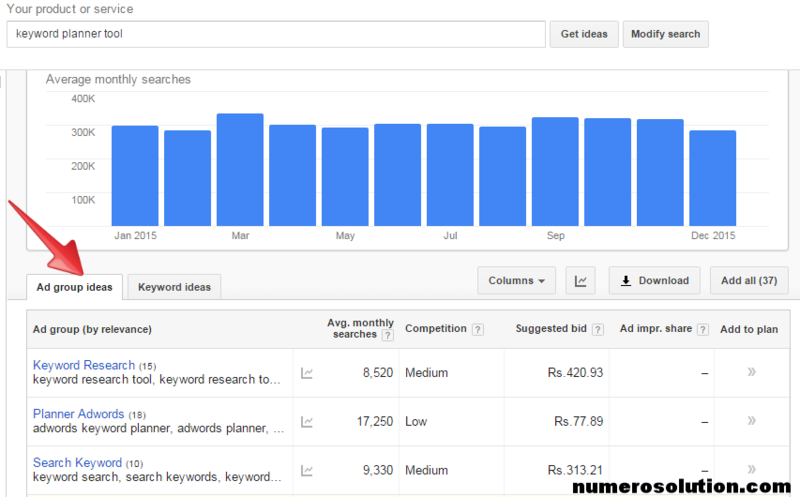 It shows long tail keyword in which two-three keywords combine in one keyword like-“SEO Google Keyword Planeer Tool”. In this i am using (SEO, Google, Keyword planner tool) three keywords to get more traffic for every keywords. Phrase: This will show a complete phrase what you need. Such as Best Keyword Tool. Hide: Hide Keywords in your search that you don’t want to include in your search. ‘Keyword research’ is a practice used by search engine optimization professionals to find and research actual search terms people enter into the search engines when conducting a search. Search engine optimization professionals research keywords in order to achieve better rankings in search engines. Your SEO keywords are the key words and phrases in your website content that make it possible for people to find your site. A website that is well optimized for search engines “speaks the same language” as its potential visitor base with keywords for SEO that help connect searchers to your site. Long tail keywords are those three and four keyword phrases which are very, very specific to whatever you are selling. You see, whenever a customer uses a highly specific search phrase, they tend to be looking for exactly what they are actually going to buy.